The Altura Photo Eyecup (AP-EP-1) is the perfect replacement for the Canon eyecup EF. Especially designed to fit your viewfinder and help in your everyday shoots. Comfort was the main focus of this Altura Photo eyepiece. - Custom designed soft-touch eyecup to provide cushioning around the camera's eyepiece. 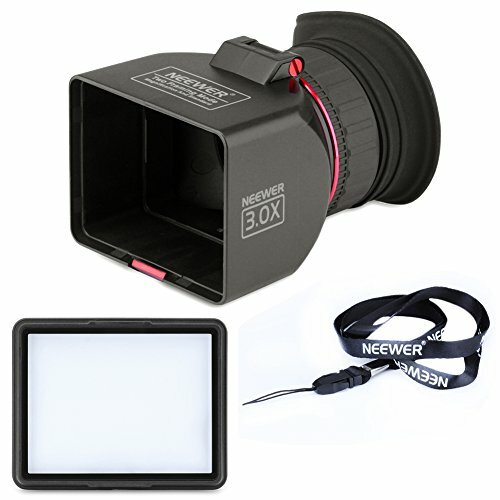 - Block out unwanted light from your viewfinder. - Useful for eyeglass wearers and others to keep the tip of the nose from touching the camera body. Designed to perfectly replace Canon Eyecup - Ef. 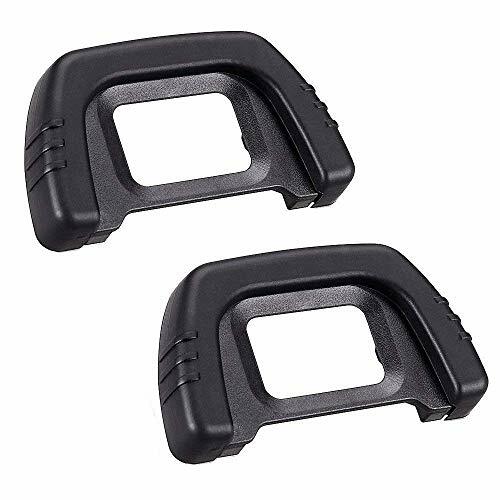 Camera eyecups provide cushioning around the camera's eyepiece, and are especially useful to eyeglass wearers. The eyecup is made of soft and durable silicone, so it allows for more comfortable viewing through the camera's viewfinder. Meanwhile, it can prevent scratching and damage to eyeglasses. What's more, the dome-shaped eyecup effectively shields light that may enter the viewfinder and cause flare. It also can be mounted to the viewfinder easily and securely. 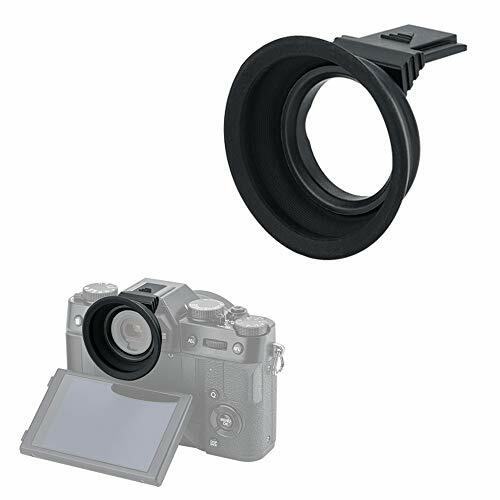 JJC Two types camera eyecup viewfinder are specially designed for Nikon, and can be used to replace Nikon DK-21 & DK-23 Eyepiece. Be Suitable for the professional technicians. Nikon D7200, D7100, D7000, D5000, D750, D610, D600, D300, D300s, D90, D80, etc. 1. Please make sure this item is the right one which is suitable for your camera according to the models we give before purchasing it. 2. The camera is excluded. 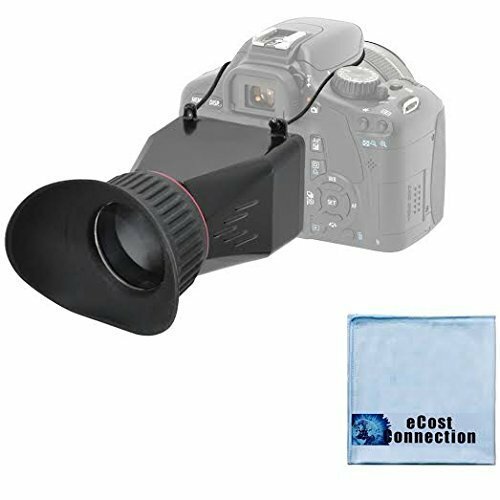 ChromLives Camera Eyepiece Eyecup EF Replacement Viewfinder Protector for Canon EOS Digital Rebel(Canon EF Replacement) - 18mm Eyecup for Canon, replaces your lost, damaged or broken eyepiece. 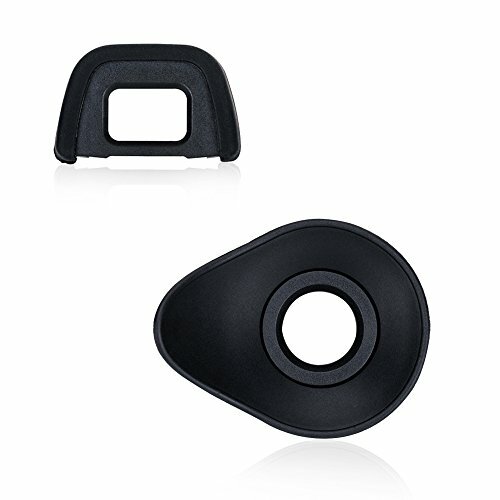 - Eyecup features a soft outer edge rubber cushion and plastic body. -Suitable for the professional technicians. -Size: 1.88inch x 0.98inch x 0.31inch Compatible with Canon EOS: 300D 350D 400D 450D 500D 550D 600D 1000D 1100D 700D 100D CANON Digital Rebel XT XTi XS XSi T1i T2 T2i T3 T3i T4i T5i SL1 Package Included: 2x Eyecup for Canon.Accessory ONLY, camera is not included Note: Please refer to the pictures to make sure this item is the right camera eyecup you need before purchase. 18mm Eyecup for Canon EOS and Canon Digital Rebel to prevent light entry due to BShutter/bulb shutter long exposure.A great accessory for all photographers. 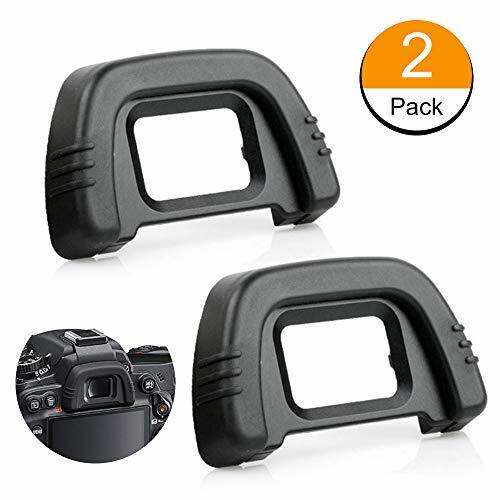 Replacement Eyecup compatible with Canon EOS 300D 350D 400D 450D 500D 550D 600D 1000D/1100D/700D/100D CANON Digital Rebel XT XTi XS XSi T1i T2 T2i T3 T3i T4i T5i SL1. Provides protection for canon camera eyepiece and keep the camera viewfinder away from dust. Plastic body cushioned with soft rubber for comfort and protect your eyes. 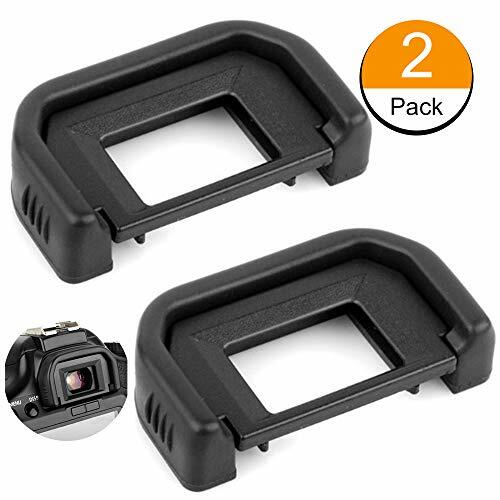 Package includes 2 pieces of Rubber Eyecup for Canon EOS and Canon Digital Rebel. Updated for 2018 with a proprietary self-locking system for a tighter and more secure fit to your camera. Eyeglass users: The rubber eyepiece links eye to camera for improved viewfinder optics. Easily upgrade your camera eyepiece in seconds. Unique self-locking mount system keeps eyecup securely in place. The eyecup rotates to accommodate both right and left eyed shooters. Works great for blocking out ambient light. This is especially important for photographers that wear eyeglasses. NOTE: For camera models with large fold out, swiveable LCD screens - using an eyecup may prevent you from opening and closing your LCD screen freely. Please consider this before placing an order. Altura Photo Rubber Eyecup (CANON 18MM) for Canon Digital SLR Cameras. Comfortable ergonomic rubber design. Easy Installation. 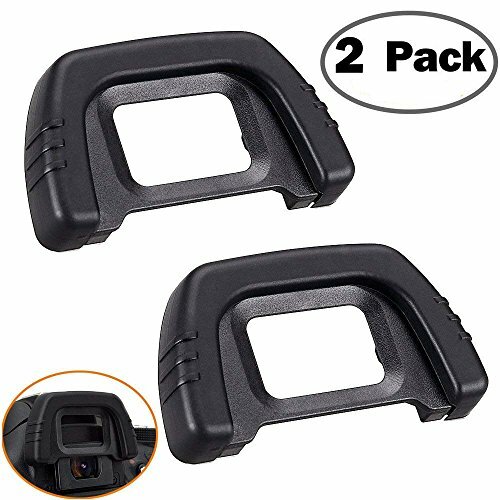 Altura Photo Rubber Eyepiece Eyecup for CANON Rebel T6i T5i T5 T4i T3i T3 T2i SL1, CANON EOS 70D 1100D 700D 650D 600D 550D. 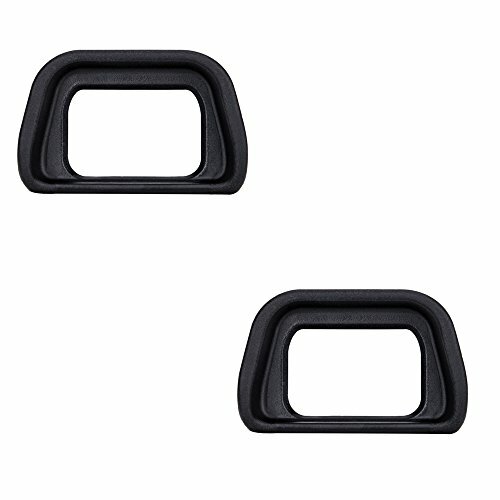 JJC Two types camera eyecup viewfinder are specially designed for Canon, and can be used to replace Canon Eyepiece Ef. Be Suitable for the professional technicians. The Altura Photo Rubber Eyecup for Nikon has been updated for 2018 with a proprietary self-locking system for a tighter and more secure fit to your camera. This rubber eyepiece links eye to camera for improved viewfinder optics. Easily upgrade your camera eyepiece in seconds. Unique self locking mount system keeps eyecup securely in place. The eyecup rotates to accommodate both right and left eyed shooters. Works great for blocking out ambient light. A great accessory for every photographers kit! - The rubber eyepiece links eye to camera for improved viewfinder optics. Easily upgrade your camera eyepiece in seconds. Unique self-locking mount system keeps eyecup securely in place. The eyecup rotates to accommodate both right and left eyed shooters. Works great for blocking out ambient light. This is especially important for photographers that wear eyeglasse. Altura Photo Rubber Eyecup (Nikon 22MM) for Nikon Digital SLR Cameras. Comfortable ergonomic rubber design. Easy Installation. 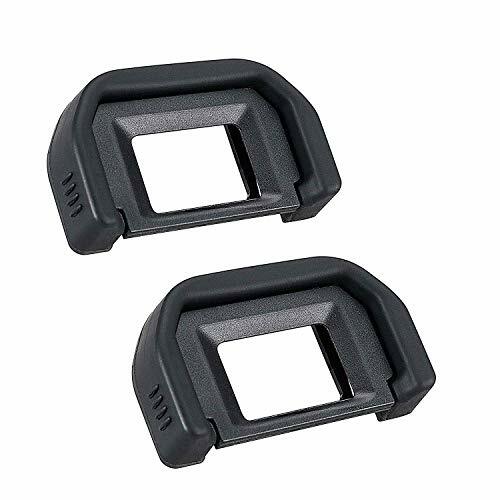 Altura Photo Rubber Eyepiece Eyecup for NIKON DSLR Cameras (D7000 D5100 D5000 D3200 D3100 D3000 D90 D80). GSS LCD optical viewfinder is designed for LCD screen viewing of digital camera. Especially suitable for DSLR high definition video photography, on-site shooting and viewing the photo, etc. It has two framing mode: magnification and standard. It is very convenient and practical for users to switch between them. Support LCD: 3" with ratio 4:3. Compatible for LCD with ratio 3:2. Two framing mode: 3.0X HOODEYE magnification and 1:1 standard views. The advantage of LCD screen buckling connection. Easy to install & remove. Also ensure the safety of LCD. Support LCD: 3 with ratio 4:3. Compatible for LCD with ratio 3:2. Completed sealing structure which block the surrounding light while magnification or standard framing. You can see the real color of the image. This item is 100% Brand New. Never used. It comes with 3 Months Warranty by Seller. Brand: JJC | Manufacturer: Jinjiacheng Photography Equipment Co.,Ltd. WIDELY USE: This camera eyepiece is Compatible with Nikon DK21 D7000 D600 D610 D80 D90 D40 D50 D70S D90 D200 D300. FUCTION: Provides protection for Nikon camera eyepiece and keep the camera viewfinder away from dust. MATERIAL: The Canon EF replacement made of plastic body cushioned with soft rubber for comfort and protect your eyes. This eyecup for Nikon DK-21 22mm to prevent light entry due to bulb shutter long exposure.A great accessory for all photographers. Our newly upgraded TARION TR-V1 LCD viewfinder is super handy for photo and video capture with DSLR video cameras. The TR-V1 LCD viewfinder will magnify your LCD screen image by 2.5x so that you can easily focus on your subject, and will also offer a true view of your image when working outdoors in bright daylight. It is designed for a faster and more functional usage. Use rotary knob on both sides to adjust up and down, more convenient and beautiful than original bottom hex adjustment. Thickened and extended quick release base plate, better fit the camera bottom. Adjustive metal parts on both sides can provide an extra protection for the frame of viewfinder. Rotatable and removable comfortable eye-cup. Front surface mirror minimizes ghosting. Serves as a sun shade. Baseplate fits MANFROTTO ballhead 501/701. Quick release plate thread: 1/4, 3/8. Canon, Nikon, DSLR with screen size up to 3.0" and 3.2". Adjustable metal parts on both sides can provide an extra protection for the frame of viewfinder. Checking composition, focus and your histogram outdoors is easy with a HoodLoupe. HoodLoupe is worn around your neck. 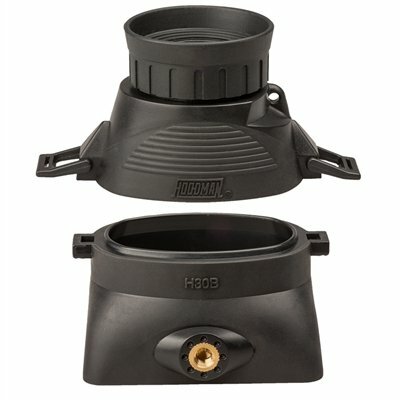 To review images, glare-free, place HoodLoupe over your LCD. HoodLoupe's +/- 3 diopter adjustment accommodates those with less than perfect vision; turn the eyepiece in or out to set your vision. Precise glass optics give you a bright, clear and non-pixelated image to view. The new 3 lens optical module accepts multiple mounting bases. Should your LCD size change, you just need to buy the HoodLoupe base that fits your new LCD. To save space, the optical module separates from the base which will nest over the optical module and fit snuggly in its carry bag. 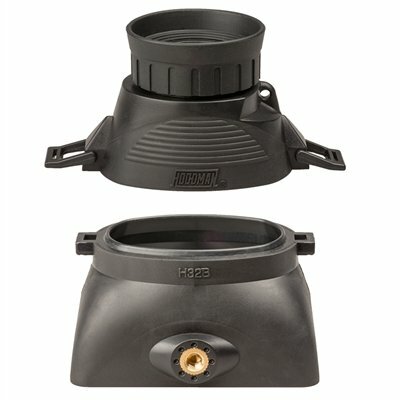 HoodLoupe integrates with all Hoodman live view mounting plates for hands-free use. The neck lanyard provided can be upgraded to a retractable lanyard that clips to your belt. 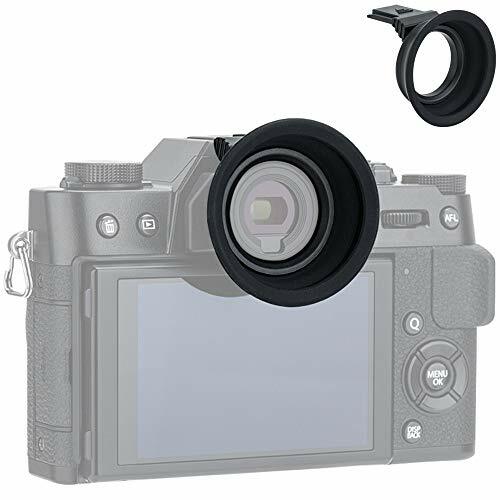 G-Cup EVF Eyecup Replacement for Sony Alpha Series: a7, a9, etc. 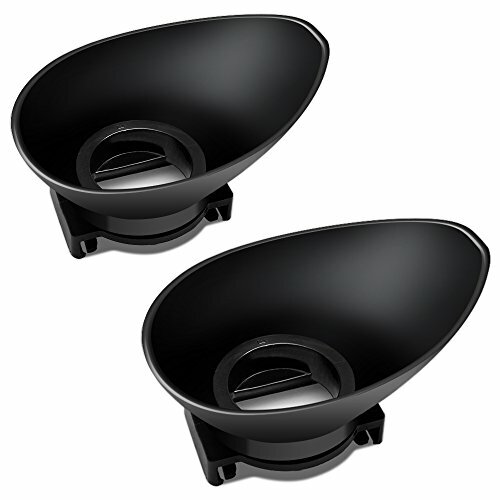 The G-Cup is a replacement eyecup designed to fit the electronic viewfinder of popular Sony alpha cameras. It enhances clarity, comfort, and stability by securely attaching to the EVF to block out light and provide a comfortable cushion for firm pressure and improved handheld stability. Custom-designed and optimized for each camera, the G-Cup adds very little weight, and it perfectly compliments the camera's shape and balance. It lets you use your camera in a nimble, stripped-down configuration, right out of the box. The G-Cup is compatible with Sony a7, a7r, a7s, a7ii, a7rii, a7sii, a7iii, a7riii, a7siii, a9, a77, a77 II, a99ii, a57, a58, and a65. Microfiber Cleaning Cloth - Especially effective when used dry to quickly and easily remove oil and fingerprints with just a swipe. Can also be used with or without cleaning solutions. 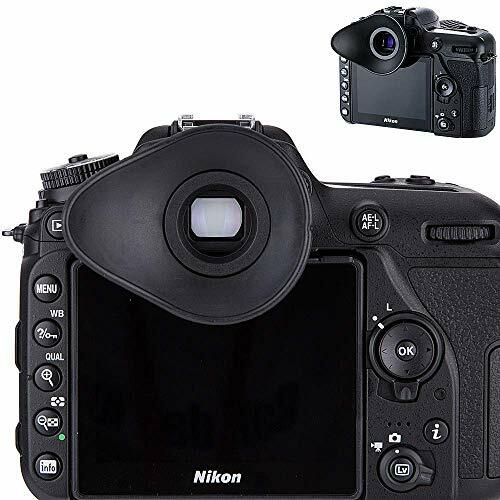 - Eyecup for Nikon, replaces your lost, damaged or broken eyepiece. - Features a soft outer edge rubber cushion and plastic body. -Suitable for the professional technicians. Compatible with Nikon DK21 D7000 D600 D80 D90 /D40 D50 D70S D90 D200 D300(22mm viewfinder). Note:When the eyepiece auxiliary lens is attached, the eyepiece mercenary can not be used. Nikon Replacement Eyecup for Nikon DK-21 22mm to prevent light entry due to bulb shutter long exposure.A great accessory for all photographers. Compatible with Nikon DK21 D7000 D600 D610 D80 D90 D40 D50 D70S D90 D200 D300. 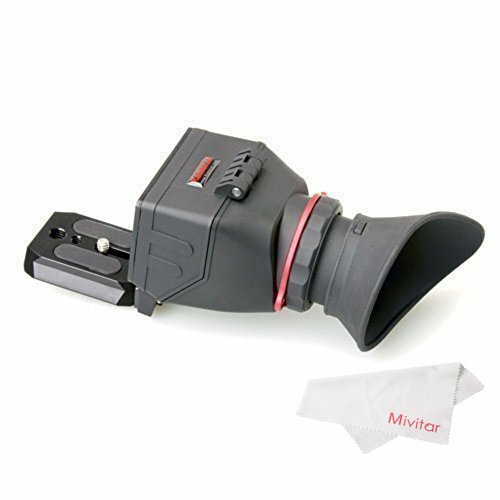 Provides protection for the camera eyepiece and keep the camera viewfinder away from dust. 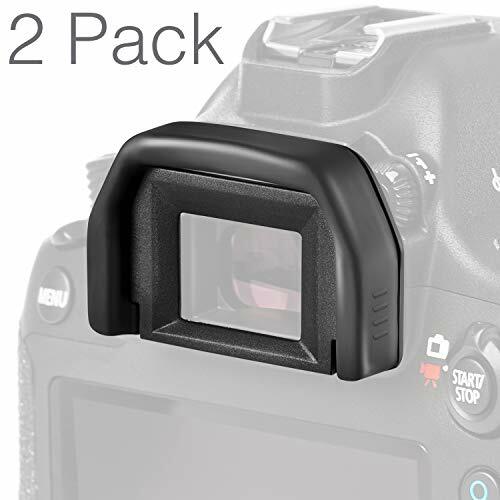 Package includes 2 pieces of Rubber Eyecup Eyepiece for Nikon DK21. Please refer to the pictures to make sure this item is the right one you need before purchase. The G-Cup is a replacement eyecup designed to fit the electronic viewfinder of the Panasonic GH5 & GH5s. It enhances clarity, comfort, and stability by securely attaching to the EVF to block out light and provide a comfortable cushion for firm pressure and improved handheld stability. Custom-designed and optimized for each camera, the G-Cup adds very little weight, and it perfectly compliments the camera's shape and balance. It lets you use your camera in a nimble, stripped-down configuration, right out of the box. - 18mm Eyecup for Canon, replaces your lost, damaged or broken eyepiece. - Eyecup features a soft outer edge rubber cushion and plastic body. Note: Please refer to the pictures to make sure this item is the right camera eyecup you need before purchase. NICE DESIGN: 18mm Eyecup for Canon EOS and Canon Digital Rebel to prevent light entry due to BShutter/bulb shutter long exposure.A great accessory for all photographers. 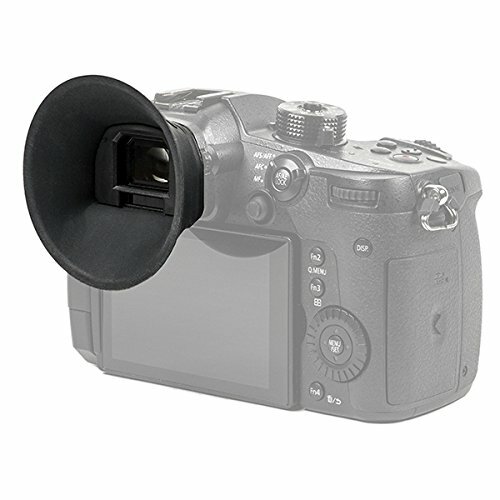 FUCTION: Provides protection for canon camera eyepiece and keep the camera viewfinder away from dust. The new QV-1 uses an innovative magnetic quick release that inserts to a manfrotto 501PL compatible baseplate. Compatible with Nikon DSLR Cameras D7000 D5100 D5000 D3200 D3100 D3000 D90 D80. Perfect design for replacing the original one. ATTENTION: Camera and lens are NOT INCLUDED. The viewfinder works as cushion around the camera's eyepiece, which is especially useful for glasses wearers. Rubber eyepiece (Nikon 22mm), provides great comforts. Easy to install and to detach. Using an eyepiece may prevent you from opening and closing your LCD screen freely. Please consider this before placing an order. 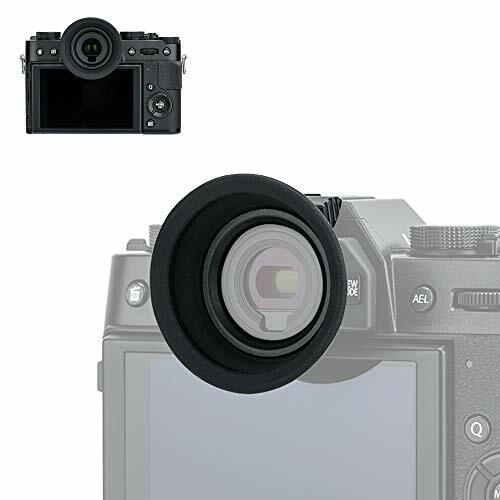 This Camera Eyecup is specially designed for select Fujifilm cameras. During shooting, the Eyecup can not only keep your viewfinder safe from impact and scratches but also protect the viewfinder from dirt, moisture, dust, and unwanted light, thus providing more image detail. In addition, it allows more comfortable viewing when camera is held to eye, especially when wearing glasses. And it also protects your glasses from scratches. This eyecup can be installed easily and securely via the camera hot shoe. Brand: Kiorafoto | Manufacturer: Jinjiacheng Photography Equipment Co.,Ltd. - Blocks stray light for improved viewfinder optics. - Protects viewfinder from impact and scratches. - Can be mounted and removed easily and securely. - It minimizes extraneous and reducing the vision fatigue. - Perfect for Nikon D7000 D600 D610 D90 D200 D80 D70s D70 D50 D40 digital cameras. We offer 6 months money back/replacement and Lifetime Product Support. 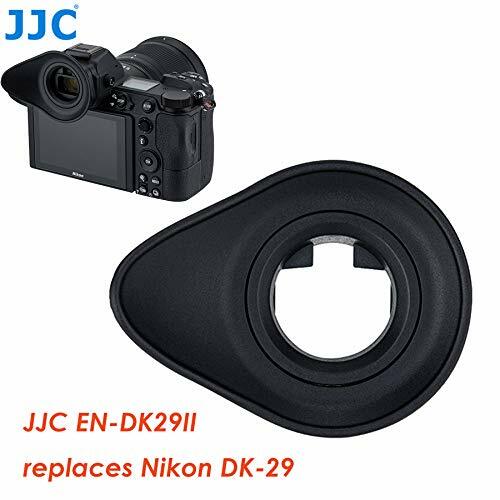 [WIDE COMPATIBLITY] : This camera dk-21 Canon eyecup replacement is Compatible with Nikon D7000 D750 D610 D600 D300 D200 D100 D90 D80 D70 D70s. [UNIQUE DESIGN] : This hollow eyecup is comfortable for your eyelid contact and glasses. 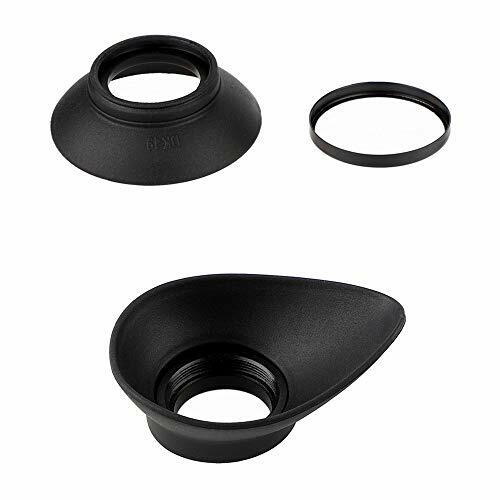 [GOOD PHOTOGRAPHY HELPERS] : This dk-21 eyecup Attaches to the viewfinder,improving viewing comfort and prevents stray light from entering the viewfinder and diminishing contrast. 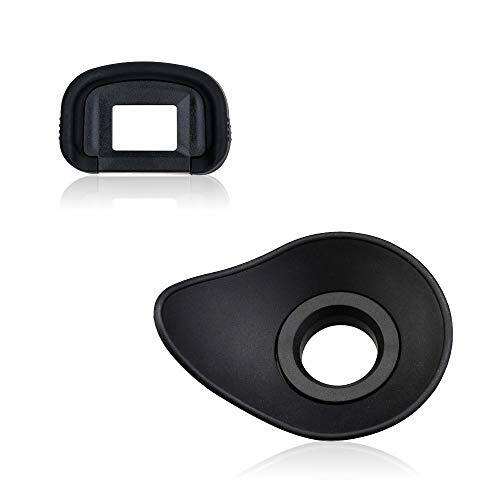 [A MUST HAVE CAMERA ACCESSORY] : Camera eyecup provides cushioning around the camera's eyepiece, and are especially useful to eyeglass wearers. [MATERIAL] : Plastic with rubber;It impress you a comfortable feeling following a pleasant experience. The Kiwifotos FDA-EP18 long eyecup eyepiece is an improvement eyecup over the standard original eyecup on the Sony A7 series,A9 Mirrorless camera and Sony a A9 Mark II DSLR camera. Your eyes will welcome the improved comfort and view provided by the Long silicone Eyepiece Upgrade for your camera's viewfinder. 1. Conforms to the shape of your eye to create a tighter and more comfortable fit. 2. Block unwanted stray light from the viewfinder, resulting in better contrast, reduced glare, and an overall enhanced user experience. 3. Its increased depth is nice for blocking more light outdoors, and helpful for keeping nose smudges off the LCD screen. The Kiwifotos XT30 long eyecup eyepiece is specially designed for Fujifilm X-T30, X-T20, XT10 camera. Your eyes will welcome the improved comfort and view provided by this eyecup. Note: Since the eyecup is securely mounted via the camera's hot shoe, once this eyecup is installed, the camera's hot shoe is occupied and hence you cannot add on any shoe mount accessory onto the camera's hot shoe, if you have to put accessory on the hot shoe, you need to put off the eyecup. Camera eyecup/eyepiece is a necessary equipment for photographers, it allows more comfortable viewing through the camera's viewfinder, especially when wearing glasses; It helps block out unwanted light and provides less flared image while looking through the viewfinder; Additionally, it can protect your viewfinder from dust moisture and scratches. EN-DK19S consists of a set of normal eyecup and oval eyecup, the normal eyecup is a replacement for original DK-19 eyecup included with the camera, the oval eyecup is made of soft TPU rubber, and the over-sized design provides more comfortable viewing, with easy-to-install mount, the eyecup can easily slide over the mounting rails and fix stably. 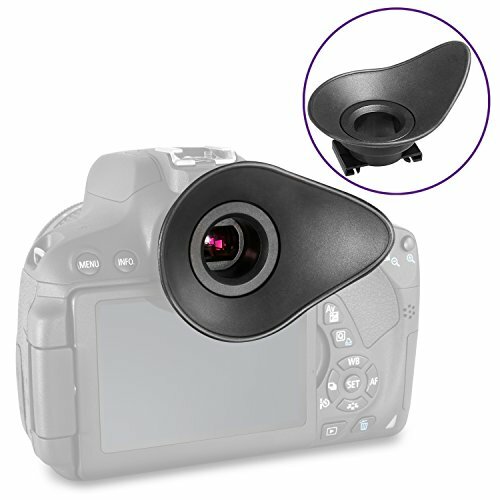 it is a perfect designed soft-touch eyecup to provide cushioning around the camera's eyepiece. 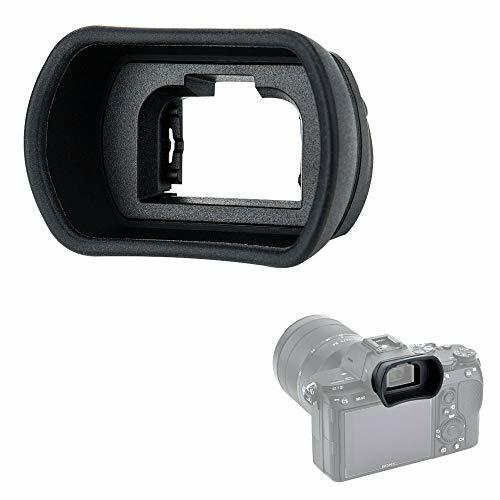 Package includes 2 pieces of Rubber Eyecup forCanon Digital Rebel.As a future spare, That will save your time and cost -is a perfect Custom designed soft-touch eyecup to provide cushioning around the camera's eyepiece. Plastic body cushioned with soft rubber for comfort and protect your eyes. Block out unwanted light from your viewfinder.Useful for eyeglass wearers and others to keep the tip of the nose from touching the camera body. 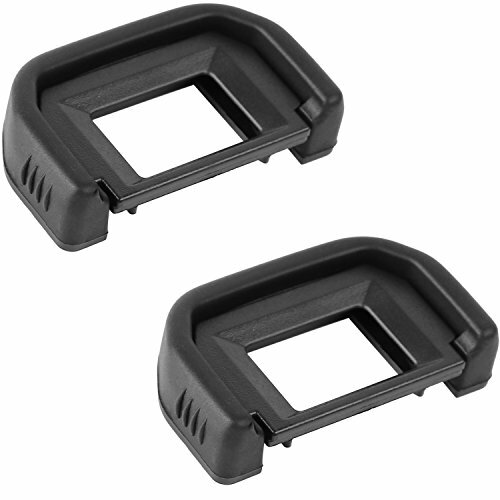 JJC 2 types camera eyecup viewfinder are specially designed for Canon, and can be used to replace Canon Eg eyepiece. - Perfect for Canon 650D 600D 550D 500D 450D 1100D 1000D 400D, Rebel XT XTi XS XSi T1i T2 T2i T3 T3i T4i T5i SL1. [WIDE COMPATIBLITY] : This camera EF Canon eyecup replacement is Compatible with Canon 650D 600D 550D 500D 450D 1100D 1000D 400D, Rebel XT XTi XS XSi T1i T2 T2i T3 T3i T4i T5i SL1. [GOOD PHOTOGRAPHY HELPERS] : This EF eyecup Attaches to the viewfinder,improving viewing comfort and prevents stray light from entering the viewfinder and diminishing contrast. The JJC eyepiece is designed to seal out stray light for more comfortable viewing from viewfinder. The soft silicone is comfortable for those who wear glasses and will not scratch or damage the glasses. The eyepiece adopts an ergonomic oval shape that seals out all extraneous light, especially for eyeglass user. Besides, the eyepiece can rotate 360 degree to accommodate left or right eye. Size: 65*52*29mm, weight: 9G it replaces Nikon dk-29 eye cup, compatible with Nikon Z6, Z7.